Hi Every one! 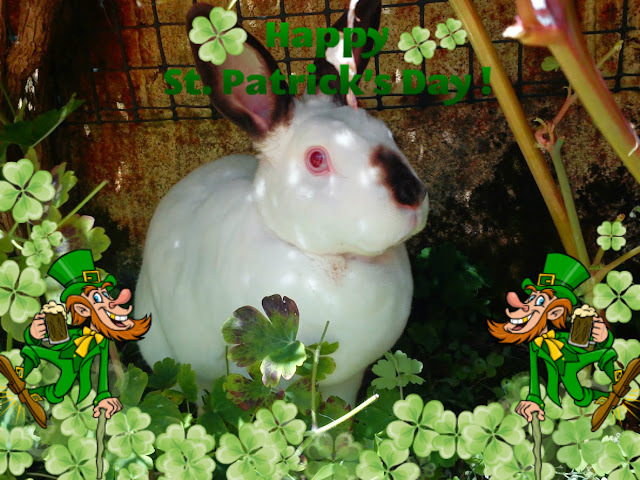 Today its St Patrick's day so we wish you all the luck of the Irish! Now who's joining me at my pub to Celebrate with Me? The bar is open and its a new season at me Pub......Come on in the Guinness is on me! Happy St. Patrick's Day to you and your human, Speedy! Watch out-the Irish are invading England. We're up for joining you! Hope you don't mind some rowdy kitties. Happy Wearing o' the Green Day! Happy St. Paddy's Day! We would love to join you in a fine Irish toast! Happy Saint Patrick Day Speedy. Hoppy St. Patrick's Day, Speedy! Have lots of drinkies in your pub, down da rabbit hole! 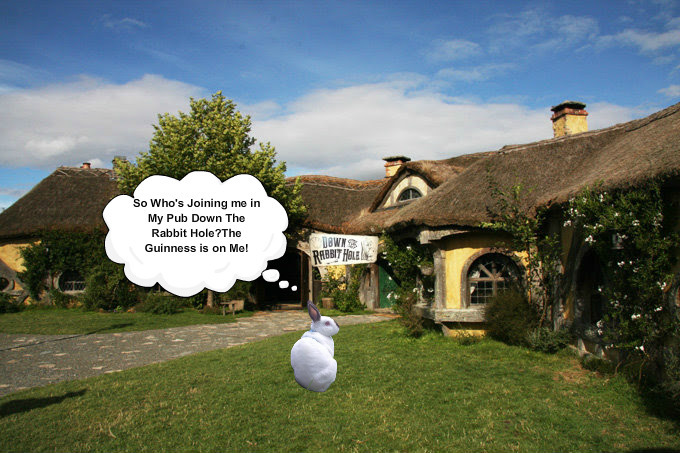 Speedy, we'd love to join you at Down the Rabbit Hole! Happy St. Patrick’s Day! KNOCK KNOCK! Is the pub still open??? I am terribly late and can't miss out on a free pint on Speedy's tab! Hello dear friends! Happy St. Paddy's Day... and 87 tons of GOOD LUCK. Happy St. Patrick's Day Speedy!! Lettuce juice around! I'm buying! ME!!! ME!!!! ME!!!!! Am I too late Speedy??!!! I hopes the pawty is still goin'!!! I'm buyin' the next round! I didn't know that bunnies like beer. Happy St. Patrick's Day, Speedy. Happy Mothers Day in the UK! Sunday Selfie and Movie day!